There are many paths that lead to and from the Veblen House and cottage in Herrontown Woods. Some are literally paths in the woods. Many of those paths had become overgrown until volunteers with the Friends of Herrontown Woods rediscovered and cleared their routes. Others are historical paths--lines of meaning that can be pieced back together through online research of the people who once lived there. There are the buildings themselves, each of which has a story behind it, as yet not fully known, and the Veblens, who left such a profound mark on Princeton and the world. This story, however, is one of many to tell about the prosperous Whiton-Stuart family that brought the house to Princeton in the 1930s. The story takes us from the spring waters of south central Tennessee to the highest levels of the Wilson and Roosevelt administrations, and the decades-long efforts of Norman H. Davis to prevent the Second World War. 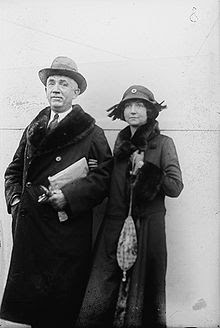 July 29 this year would be Christine's 112th birthday, Christine being the first wife of Robert Whiton-Stuart, son of the builders and first occupants of what later would become known as the Veblen House. Like Robert's mother, Mary Marshall Ogden, Christine had southern roots. Christine Paschall Davis was born July 29, 1905 in a town in south central Tennessee called Tullahoma, known for the waters there that bubble generously from the ground. In the 1850s, the Nashville and Chattanooga Railroad was routed to pass by the springs, so that steam engines could fill up their tenders with the dependable spring water. Tullahoma later served as the headquarters for the Confederate army in Tennessee in 1863. The town's recovery after the Civil War was aided partly by the railroad line, partly by Tullahoma's educational institutions, which were exceptional for the region. It was likely also those educational institutions that brought Christine's future parents together. Christine's grandfather, McClin H. Davis, had prospered in the distilling business, having perfected the recipe for Cascade Whiskey, later known as George Dickel. Though she spent her summers in Tullahoma, Christine graduated from the Milton Academy, a boarding school in Massachusetts that dates back to 1798. After attending Vassar College and graduating from the Presbyterian Hospital nursing school, she worked for a time at the Manhattan Eye, Ear, and Throat Hospital on east 64th St.
As with others who figured in the lives of the Whiton-Stuarts, Christine's name acquires more and more significance with time and research. Her ancestry has deep roots in America. One of her father's ancestors fought in the Revolutionary War. She's listed in a book as descendent #1144 of Jackson M. Yancey and Elizabeth B. Goode, his wife, though it's not yet clear who Mr. Yancey was, to have had his descendants so well researched. Nor is it yet clear whether the Paschall family of Christine's mother has notable history. The name Davis, however, is best known through the career of her father Norman Hezekiah Davis, who would play significant roles in the Woodrow Wilson and Franklin D. Roosevelt administrations. Before entering public life, Davis was a successful businessman. He briefly ran the distillery business, then took advantage of family connections to do business in Cuba. By 1918, at age 40, he had made a million dollars in Cuban banking and Cuban sugar. Remarkably, and it's not yet clear what the prompt or precedent might have been, at that young age he retired from business and devoted himself to public service. Serving Wilson as Assistant Secretary of the Treasury, then as Undersecretary of State, Davis would become highly involved in seeking peaceful solutions to international tensions in the years between the World Wars. 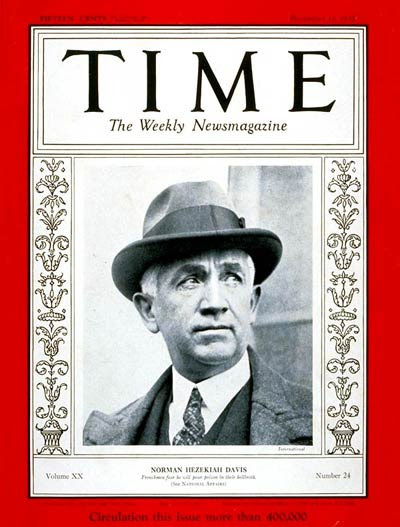 Briefly serving as Wilson's secretary of state, he likely would have gained that position in FDR's administration, if not for his close association with J. Pierpont Morgan. Instead, he served as a close advisor of FDR's secretary of state, and played an often parallel role as FDR's "ambassador at large". Later, FDR appointed Davis the national chairman of the Red Cross during the very demanding years of World War II. Norman Davis's world view appears prescient, and relevant to our day. He spoke out against harsh economic punishment of nations defeated in WWI, asserting that steep tariffs and other forms of "economic warfare" were as destructive as a conflict of arms. He warned that economic punishment of Germany would cause resentment in that nation. History proved this warning correct, as Hitler later exploited that resentment to gain power. Through the 1920s, Davis criticized isolationist, protectionist policies that sound reminiscent of those being proposed today, almost a century later. The U.S. absence from the League of Nations was as conspicuous back then as the president's departure from the Paris climate accord is today. "America First" was a slogan as current then as now. Davis argued that a policy of independence instead of international cooperation was promoting nationalist tendencies that could lead to another world war. The U.S., he believed, needed to actively exercise its moral and political influence in the world. 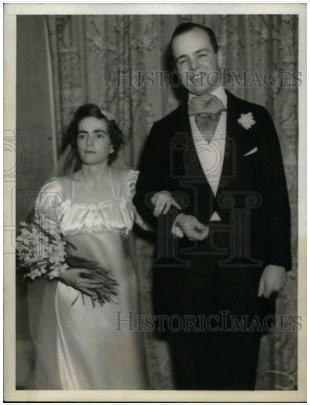 Christine and Robert married in 1937, when her father was ambassador-at-large for FDR, and world tensions were escalating. Robert's parents, the Whiton-Stuarts, were living in Princeton at the time, presumably much more buffered from world events. It's not at all clear how Christine and Robert met. The wedding photo appeared in newspapers all across the country, as well as in Life Magazine. 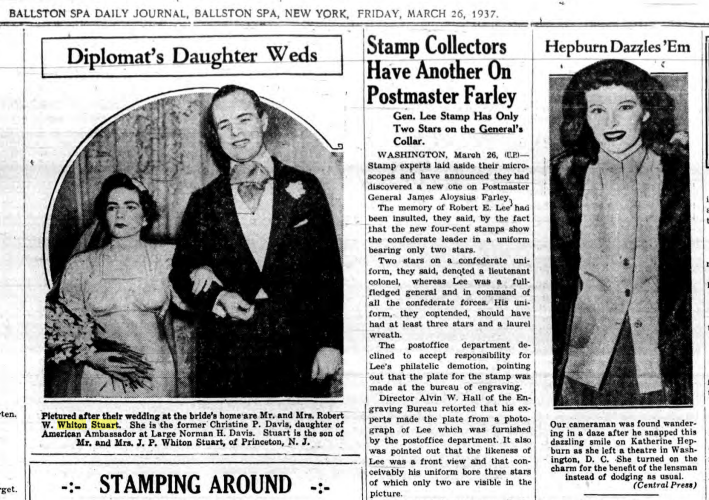 They were married at 5pm, March 23, 1937, by Rev. 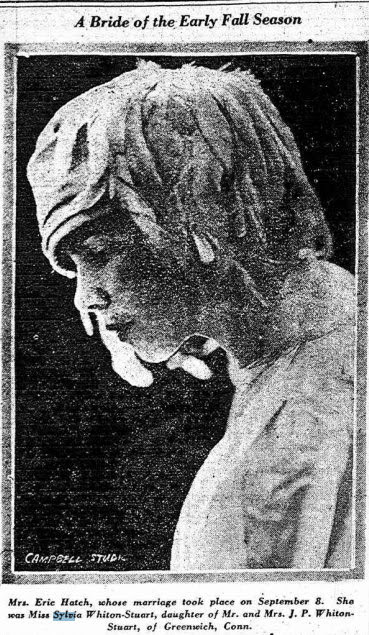 Elmore McKee, rector of St. George's Church at the Davis home on E. 79th St. "Christine will wear the ivory satin gown which her three sisters, Mrs. John Fennelly, Mrs John C. Potter, and Mrs. J Sterling Getchell, wore, and a Juliet cap with a veil. Her flowers will be white narcissi." The rector's church, by the way, was once known as "Morgan's church". J. Pierpont Morgan was its most influential parishioner, to whose company Norman Davis had close ties. President Roosevelt's mother, the formidable mother-in-law of Eleanor Roosevelt, attended. The marriage date had been pushed forward when Norman Davis was called to Europe for meetings about the growing tensions there. Perhaps the hasty rescheduling explains why the only attendant to the bride and groom was Lawrence M.C. Smith, as best man. Again, an internet search opens up another world of significance and meaning. Smith and his wife, Eleanor Houston, had an extraordinary life as "collectors, conservationists, environmentalists, farmers, philanthropists, and preservationists." Like the Whiton-Stuarts, they were "old money", their lineage dating back to the days of William Penn. Eleanor's father developed the Chestnut Hill area of Philadelphia. She was inspired by writer Louis Bromfield's organic farming experiments at Malabar Farm (an important book for me as well, in my formative years), and was on the board of governors for the Nature Conservancy. She and her husband founded a classical radio station in Philadelphia, and raised organic beef on their Wolfe's Neck Farm in Freeport, Maine. Much of the property they acquired, including an island, was later donated for preservation. The Smiths' philosophy--"At some point you have to decide how to use your money to benefit society." --is very much the credo by which the Veblens lived. Christine's and Robert's marriage lasted less than ten years. Christine died in 1946 in Harkness Pavillion, Columbia Presbyterian Medical Center, after a long illness. Her mother, the former Miss Mackie Paschall, had died in 1942, and her father on July 2, 1944--both in their mid-60s. The reasons for early death in the family are not clear. Christine's grandfather, McLinn Davis, had died young, though his work perfecting the taste of whiskey could have had consequences. Norman Davis may have succumbed from the enormous stress of high level public service during the war years, compounded by the death two years earlier of his wife, who was his constant traveling companion. President Roosevelt, in a telegram to the family, said "He had worked far beyond his strength, and indeed was a casualty of war." Besides her husband, Mrs. Stuart is survived by a son, Robert P. Whiton Stuart Jr. of New York, three sisters, Mrs. Malcolm Smith of New York, Mrs. John F. Fennelly of Lake Forest, Ill. and Mrs. John Potter of Peterson Farms, Mount Kisco, N.Y. and four brothers, Macklin P. Davis and J. Pascall Davis of Nashville, Tenn., Goode P. Davis of Santa Barbara, Cal., and Norman P. Davis of Chappaqua, N.Y. Funeral services were held Saturday at 2:30p in Georges Chapel, 17th St, and Stuyvesant Square, New York City. Some themes from this story continue in Robert's subsequent two marriages. From the springs of Tullahoma, where Christine was born, and Hot Springs, where her father Norman Davis went as his health worsened, we'll head north to the cool, curative sulphurous waters of Sharon Springs, NY, which feature prominently in Robert's second marriage. And then there's alcohol, profited by if not directly imbibed. Whereas the whiskey distilling business contributed to the wealth of the Davises, the second family Robert married into achieved its wealth in the brewing business in pre-prohibition NY. Researching his third marriage, we've found another heroic in-law, still alive, devoting many decades not to saving the world from war, but to saving elephants and rhinos from extinction. Today is Sylvia Jean Whiton-Stuart’s 111th birthday. She being the daughter of the builders and original owners of what would later be called the Veblen House, it’s fitting to include here an account of what we know about Sylvia’s life. Since first writing about her three years ago, I've researched backwards and forwards from Sylvia's birth on July 4, 1906, and in so doing have come closer to an answer to the question of why the House began its “life” in Morristown, NJ. Veblen House was owned and lived in by two families, the Whiton-Stuarts followed by the Veblens. Both Jesse Whiton-Stuart and Oswald Veblen loved buildings. Jesse prospered by buying and selling them in Manhattan. Oswald loved his own cottage and home, but also saw buildings and their design as an integral part of his vision for advancing scholarship in Princeton and more broadly in America. Interestingly, the grandparents of Veblen, and the grandparents of Whiton-Stuart's wife, Mary Marshall Ogden, were both builders of houses--one built a series of them in Wisconsin and Minnesota, the other built one on a plantation in Mississippi. Research into the Veblen House's history may lead to a contrast between what it meant to build a home in the early 19th century in the North and South. Exploring Sylvia's life takes us into many different worlds. While one set of great grandparents owned a plantation in antebellum Mississippi, she was born into the highest echelons of Manhattan society, with a pedigree that included some of the great movers and shakers in U.S. and NJ history. Her parents rubbed shoulders with leading philanthropists of New York City, then lived for part of her childhood out on a ranch in Arizona. Like her brother, she would marry three times. As a debutant and fodder for the gossip mills of the era's society pages, she eloped at 16 with a well-known writer, later married a stockbroker a month before the crash of 1929, then finally settled down to what looks like a quieter life with a lawyer. Sylvia’s mother’s name is Mary Marshall Ogden, part of a long line of Ogdens extending back to the 17th century pilgrim, John Ogden, who, according to this link, “was one of the founders of the New Jersey Colony, and one of the first to settle in the original community of Elizabethtown,” around 1664. Sylvia's mother was born in Natchez, Mississippi, which sounded like a strange place for a future Manhattan aristocrat to start out. For lack of knowledge--perhaps it's an uninformed northerner's stereotype--I imagined a family of modest means, torpid from the heat in a dusty town surrounded by flat expanses of woods. Turns out that Natchez is perched strategically on a bluff overlooking the Mississippi River, and for two centuries prospered as a pivotal center of trade in the region. The city is one of the earliest European settlements in the lower Mississippi, having celebrated its tricentennial in 2016. It's one year older than the state of Mississippi, and two years older than New Orleans. The Natchez tribe, for which it is named, predated the Europeans by a millennium. Sylvia's great grandfather, Elias Ogden, had moved down there after studying medicine in Morris County, NJ, built up a lucrative practice in Port Gibson, then married into the wealthy Routh family. The move of a Whiton-Stuart ancestor from Morris County, NJ to Mississippi is a puzzle. Was it a move into a vastly different culture based on slave labor, or was Morris County, like Princeton, home to slave-owners as well? Ogden relatives may already have been established in Natchez. One notable Ogden from Natchez is Jennifer Ogden Combs, who has done film production for Woody Allen and Mississippi native Oprah Winfrey, and organized Natchez's tricentennial celebration. Perhaps assisting the move of Elias Ogden from Morris County, the Natchez Trace, a major north/south trading route dating back to pre-colonial times, extends from Nashville down to Natchez. The Trace, named for the traces herds left behind, was originally a bison migration route, following ridges and passing by natural salt formations used by the bison like cattle use salt licks. For a period in U.S. history, travel on the Mississippi was downstream only. Settlers in the Ohio River basin would build flatboats to carry their wares down the Mississippi to Natchez, MS, where they'd sell them, along with the lumber from their boats, then return to the north by horse or foot along the Natchez Trace. Steamboats changed all that, with the power to travel upstream against the swift Mississippi current. The two-generation residency of Sylvia's ancestors in Natchez coincided with the golden age of steamboats. Sylvia's great grandmother, Ann M. Lane, who was born a Routh, owned "one of the largest and finest plantations in that section of the country". Great grandfather Elias retired from medicine, built "an elegant residence called 'Kenilworth'", and cared for his wife's extensive estate until he died around age 43, in 1845. One of their sons, John Routh Ogden, married Josephine E. Marshall, who is reportedly a descendent of the great Chief Justice John Marshall, a guiding force in shaping the U.S. justice system. Sylvia's mother-to-be was born to this couple in 1874, not long before the family left postwar Natchez to live in a town near New York City that no longer exists, called Bartow-on-the-Sound. There, Sylvia's grandfather worked as a banker in New York City. Sylvia's parents, Jesse Paulmier Whiton-Stuart and Mary Marshall Ogden, were married in 1905. On April 21, 1908, a year and a half after Sylvia Jean was born, Jesse and Mary had her christened by Rev. Harris Ely Adriance. A newspaper article listed 13 of the guests, including Mrs. Kiliaen Van Rensselaer and Mrs. Augustus Julliard. The Van Rensselaers were a powerful political family in U.S. history, and Kiliaen Van Rensselaer was surely named after a distant ancestor, one of the founders of the Dutch West India Company in the early 1600s. Augustus Juilliard's estate funded what became the famous Juilliard School in New York. The lives of the Whiton-Stuarts are filled with associations of this sort. Sylvia's story is to be continued, but here are a few elements. Her father, Jesse Whiton-Stuart, seems to have divided his itinerant life into decades. In the 1890s, after spending a year at Harvard, he traveled around the world. For the first decade of the 20th century, Jesse lived in Manhattan, selling high end real-estate. With two young children, he and his wife appear to have spent the next decade in Prescott, Arizona, where Jesse ran a cattle ranch on public land. By 1920, they had moved back east and were living in Morristown, NJ, perhaps to help ailing parents and involve their children in eastern social circles. On Sunday, according to dispatches received from Matawan, young Hatch and his bride, accompanied by Miles Vernon, appeared before Mayor Sutphin at Matawan with the request that he marry them. He declined to do so on the ground they had no New Jersey license and had not complied with the state law requiring a residence of forty-eight hours in the state prior to the ceremony. That was quite discouraging to the trio, but they didn’t consider letting it stop them. They motored to Connecticut, apparently with the view of getting married there, it is said, but before long they were headed southward again, and finally arrived at Elkton, MD (where the ceremony was finally performed). She had a long and distinguished career in the world of fashion and was for many years fashion editor of Town and Country magazine. Eve was an active member of the Lawrence Beach Club, Rockaway Hunt Club and the Colonial Dames of America. To her galaxy of dear friends worldwide, Eve was especially loved for her loyalty, razor-sharp mind and rollicking wit. A second marriage, poorly timed, was to Lawrence Turnure, a stockbroker, one month before the stock crash of 1929. The NY Sun reports a divorce in Reno less than a year later. The Whiton-Stuarts reacted to the stock crash by moving to Princeton in the early 1930s, Jesse having brought a prefab house along from Morristown. In a potential tie to Veblen, Jesse's interest in mathematics may have drawn him to Princeton at a time when so many great mathematicians and physicists were arriving to work at the University and especially at the newly formed Institute. Sylvia's whereabouts during that decade are unclear. The 1940 census had Sylvia married to Nelson Alcott, or Olcott, and living on E 55th St in New York. 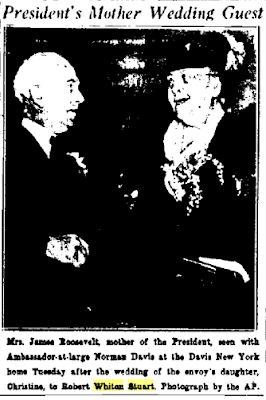 (This appears to be the same Nelson Alcott that a 1925 city census describes as 35, a lawyer living in Brooklyn, Kings, in a house with 12 members, including what appear to be wife Mary Alcott, 35, daughter Leslie, 13, son William, 11, and servants from Ireland: Sadie Higgins, 30, Bessie Campbell, 28, Beatrice Farrell, 35, and Margaret Ryan, 34.) In some accounts, including her death certificate, her last name appears to be Olcott. By 1941, as if ready for a new life in a new decade, Jesse had sold the Princeton house to the Veblens. The rest of the story is sketchy. There are accounts of Sylvia's parents living variously in Greenwich, CT, and the luxury gated community of Tuxedo Park, NY. The 1940s were Jesse's last decade, ending in a house in San Luis Obispo, California, in 1950. By 1957, Sylvia was living at 901 N. 6th Ave in Tucson, AZ, as documented in a suit she filed after an auto accident two blocks from her house, in which she suffered a concussion, fractured elbow and broken ribs. In 1964, Sylvia pops up as living with her husband in Mexico City, and traveling to Tucson to visit her mother. She died that year, July 21 in a Mexico City hospital, presumably at the age of 58 (the death certificate says 56), "paro respiratorio y cardiaco, colapso respiratorio periferiso" (congestive heart failure), and her mother died soon afterward. Playing the role of biographer, piecing together forgotten lives, I was surprised by a sadness when coming across news of their death. This is a preliminary sketch of her life, hastened together to honor her 111th birthday. Her death certificate stated her employment as "hogar", spanish for "home". Who she was, and what she did with her days--any curiosity about the world, any passions or causes, having carried the names of so many men through the years--remains a mystery.